Ever since Melissa Ben-Ishay can remember, baking has always been a passion. Working with delicious ingredients, concocting new cupcake flavors and using her hands to create something makes her feel like a little kid. She even does a little happy dance when she creates a heavenly dessert. But up until 2008, baking was just a pastime. It was during this time, a life-changing moment helped Ben-Ishay turn her love of baking into a business. In tears, she went straight to her brother, Brian. In the business world himself, the solution seemed like a no brainer. He told her to go home and start baking. In one night, Ben-Ishay made 250 cupcakes. She sent them to work with a friend in public relations and was soon working in the catering business. By 2009, her company, Baked by Melissa, was open with her brother as CEO. 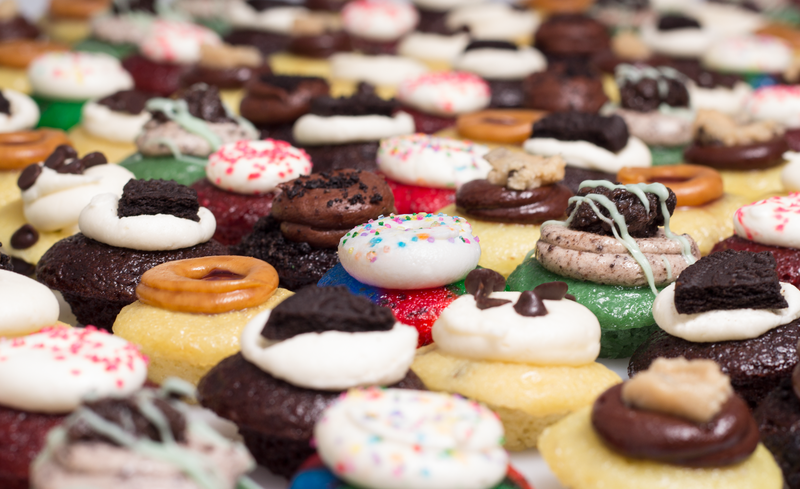 Known for its bite-size cupcakes, Baked by Melissa has a number of unique flavors, including chocolate chip pancake, tie dye and peanut butter and jelly. “You get to taste and enjoy more sweets that way without feeling guilty,” she says. Ben-Ishay’s passion has translated into a business with more than 300 employees and 14 locations on the East Coast, with a focus in New York City, along with the launch of macaroons. I wake up when it’s still dark out, and I take pride in that, because I’m not a morning person. I do that to take care of myself and be the best version of myself that I can be. The way you start your day dictates the way the rest of your day is going to be. It's important for me to do things that make me feel positive, motivated and confident when I start. I tell my husband to turn the TV off, so I can fall asleep. That’s honestly the last thing I do. I try to go to bed as early as possible, because I operate best with a good night's sleep. I recently read musicians Keith Richards’ biography followed by Mick Jagger’s bio. I found them interesting, because it's like I read the same story from different perspectives. It was great to see how two people experienced the same exact thing and still have different perspectives -- and they’re both right. It was an eye opening thing for me. In life, there are things you know and things you don’t know and for everything else, there are the doors of perception. I always recommend The Alchemist. I try to read it once a year. I think everyone takes different lesson from reading that book. For me, it reminded me about the journey and that my path is my path, and I need to own it and enjoy it. It’s really all about the way you choose to perceive the events that are happening in your life. I love to make lists. I’ll also use notes from my phone for a lot of things. I have an ongoing list that I add to and cross off when it’s done. When I get to put an “X” through it; it's so satisfying. I didn’t know what I wanted to do as a job. All I knew was, whatever I did, I wanted to be happy. To me, the definition of success is happiness. The importance of open communication. When I think of the worst boss I ever hard, I don’t think of just one person. I didn’t have a mentor. I didn’t have someone who wanted me to succeed. I didn't have someone who took the time to sit down, have a conversation with me and help me be better at my job. So now, I really make the effort to be clear and honest with my employees and sit down with them and communicate. I would have to say my brother. He always provides me with candid feedback, whether I wanted to hear it or not. He’s someone I know truly wants me to do well. He motivates me to be innovative and get creative. When I went to Israel for the first time with my husband. Experiencing another country with him and seeing the way he grew up was eye opening. It’s amazing how many similarities our childhoods had even from other sides of the world. It’s incredibly interesting and just goes to show you how small the world really is, how important perspective is. My team inspires me. It‘s a really beautiful thing to see so many people working towards something you love so much, and I believe they love it, too. It’s like magic. We look for people with passion, curiosity, work ethic, personality...a variety of things. Growing up with an older brother so interested in business made me so interested in business, too. It was fun to think of solutions. I still do. I don’t remember a lot of the specifics. I just liked creating things. I think the biggest thing was when I was a waitress; everyone needs to be a waitress in their life. That was the best way to see how people treated you when you were serving them. It was such a positive experience to have. I always treated people the way they deserved to be treated, but even more so after being a waitress. It’s important to be able to do that, especially in business. To not let emotions get the best of you. Baked By Melissa is something I love and am so passionate about, so it’s hard to keep my emotions in check sometimes. It’s the single most important thing for me to do to be effective with the things I do every day. If anyone gave me bad advice, I forgot it. I don’t waste energy thinking about the negatives or bad advice. Just get it done. If something presents itself and I have a minute to do it, I’m going to do it. Then I don’t have to worry about it anymore. I think we underestimate the challenges we have in self motivation, especially if you’re not passionate about what it is you have to get done. You don’t have to love everything about your job or every task, but you should care about the overall goal and purpose for what it is you’re doing. I focus on creating with my hands so much that I don’t spend too much time on my phone. I should probably do more for myself, but my business is for myself. It’s the self-fulfillment that’s the most rewarding for me. I’m the type of person I do what I want to do when I want to. I want to work, and I want to be home, so that’s what I do. The biggest thing is just love what I do. Through my experience I learned that’s just a part of the process. I just let it happen, and it passes. I try to change my focus and not necessarily force it. I stop trying to get creative in that moment and do something else and naturally I’ll get inspired. I get ideas from everywhere. Most of my ideas come from thinking about my childhood, anything that reminds me of it. Sometimes I’ll go to the supermarket and walk around the candy isle. Or when I go out to dinner, I see the way the chef makes something. The flavors inspire me to think differently about my dessert flavors. It gets me thinking, and I get new ideas that way. I’m always trying to understand more about desserts. I’m constantly looking up recipes and baking things I never baked before. I find that to be a great way to learn. It inspires me through the process, and I’m able to do something I never did before.